Summer is long over but there is no stopping kids from going outside to play even during the typhoon season, as playing under the rain is as much fun and exciting to them as being outdoors during a sunny day. This, however, is a concern for parents as sudden weather changes signal possible susceptibility to common coughs and colds, especially when one is not prepared. 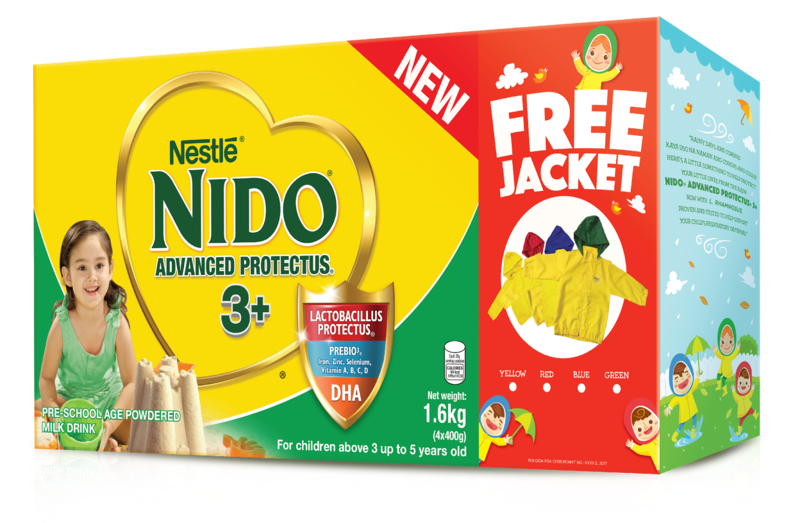 Give your little ones a #LOVETHATPROTECTS with the new NIDO® ADVANCED PROTECTUS® 3+ and NIDO® ADVANCED PROTECTUS® 5+. 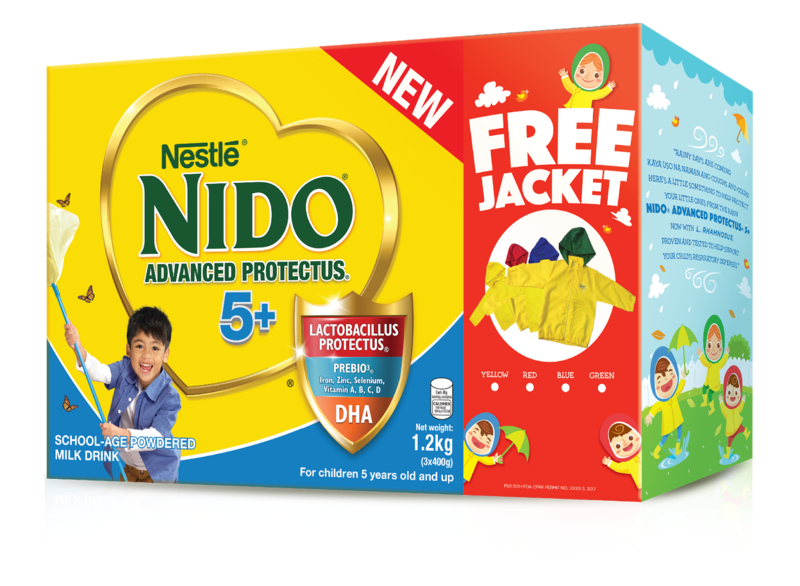 What makes it more exciting is that each pack of NIDO® ADVANCED PROTECTUS® 3+ 1.6kg and NIDO® ADVANCED PROTECTUS® 5+ 1.2kg now comes with a FREE lightweight rainwear in four vibrant colors: yellow, red, blue, and green. NIDO® ADVANCED PROTECTUS® 3+ and NIDO® ADVANCED PROTECTUS® 5+ are the only growing-up milk brands developed with Lactobacillus PROTECTUS®, featuring the new L. Rhamnosus, an advanced probiotic strain that helps protects children’s tummies and helps build their upper respiratory tract defense against pathogens that bring about common coughs and colds. With every 45g serving or 4 tablespoons of NIDO® ADVANCED PROTECTUS® 3+ and NIDO® ADVANCED PROTECTUS® 5+, there are at least 1 billion colony forming unit (cfu) of L.Rhamnosus present. 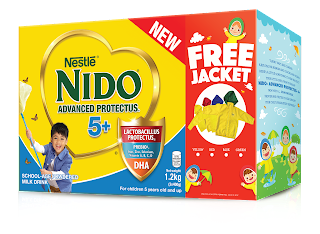 To further boost their immune system, both NIDO® ADVANCED PROTECTUS® 3+ and NIDO® ADVANCED PROTECTUS® 5+ contain Iron, Zinc, Selenium, and Vitamin C, as well as Vitamin A, B, D, Calcium, and Protein to promote proper growth and development. Not to mention high levels of DHA, an essential building block for the brain. 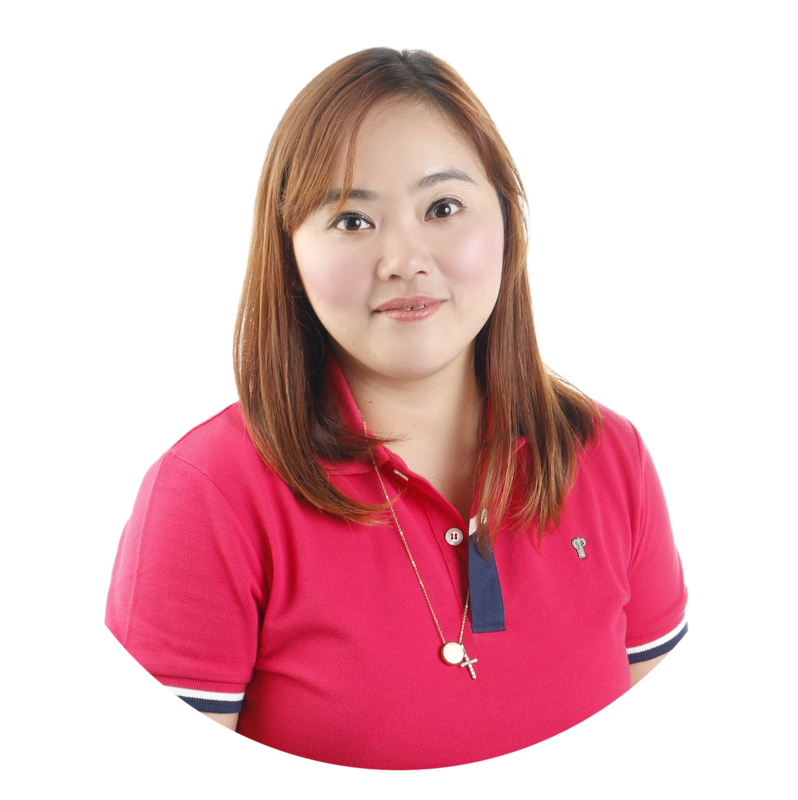 When your little ones are nurtured, you can be more confident to let them go and explore more of what the world has to offer. With each glass of NIDO® ADVANCED PROTECTUS® 3+ or 5+, you can encourage them to pursue their passions and interests so they can make the most of their childhood. 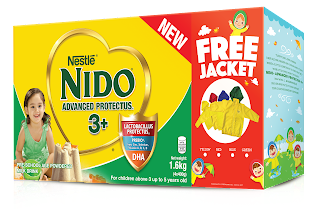 Disclaimer: Nido Advanced Protectus 3+ and Nido Advanced Protectus 5+ are not suitable for infant feeding and are not substitute for breast feeding.